Many Malaysians will still remember the Asian financial crisis of 1997/98. Nearly 20 years ago, the then crisis was responsible for the greatest capital market crash in the country and forced many structural changes we see today in the financial markets. It was a time of great turmoil, with people losing their investments on a scale never seen since. Companies for years bankrolled on easy credit were leveraged to the hilt and crumbled under the weight of their debts as business evaporated and the cost of credit soared. Shares traded on the stock exchange mirrored the scale of the troubles. The benchmark stock market index plunged from a high of 1,271 points in February 1997 to 262 on Sept 1, 1998. Words such as tailspin and panic were common in the financial section of newspapers and the chatter among market players as people scrambled to take action. “More people are talking about it with the fall in the ringgit,” says a fund manager who experienced the difficult times in the late 1990s. Triggering the crisis back then was the fall in the regional currencies, starting with the Thai baht. Speculators then zeroed in on other countries in Asia and Russia as the waves of attack on the currencies back then saw many central banks spending vast amount of foreign exchange reserves to defend their currencies. Exhausting their reserves, those central banks requested for credit help from the International Monetary Fund to replenish their coffers. Attacks on the ringgit and many other currencies in Asia sent the ringgit into freefall as the currency capitulated from a previously overvalued zone against the US dollar. The ringgit dived into uncharted territory to around RM4.20 to the dollar before capital controls were imposed and the ringgit was pegged at RM3.80 to the dollar. The ensuing troubles were seen from the capital market to the property sector. Corporate Malaysia was swimming in red ink and huge drops in profit. The shock from that period was different than what the country had seen in previous recessions. The last economic recession prior to that was caused by a collapse in global commodity prices and during that pre-industrialisation period before factories mushroomed throughout the major centres of the country, unemployment soared. Unemployment was not a major issue in 1997/98 like it was in the prior recession but the crunch on company earnings meant wage cuts and employment freezes. With the drop in crude oil and now with the resurgence of the US economy, the flight of money from the capital market has began. Most would argue that no two shocks or crisis are the same. There is always a trigger that is different from before. From the Asian financial crisis, the world has seen the collapse of the dotcom boom which crushed demand for IT products and services. Then there was the severe acute respiratory syndrome (SARS) crisis and the global financial crisis in 2008/09. There were periods of intermittent volatility in between those periods but there was nothing in Malaysia to suggest trouble ahead. Shades of 1998 though have emerged in this latest wave of turmoil but the situation now is not the same as it was back then. “We don’t see a crisis brewing in emerging Asia. But that is not to say there aren’t risks. We believe those risks are going to be mitigated and managed,” says World Bank country director for South-East Asia, Ulrich Zachau. The fall in crude oil prices, which has been the trigger for Malaysia, has sent the currencies of oil-producing countries lower, affecting their revenues and budgets. 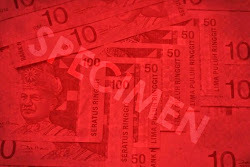 In South-East Asia, pressure has been telling on the ringgit and the Indonesian rupiah. Reminiscent of the gloom and doom of 1997/98, the Indonesian rupiah tanked against the dollar to levels last seen during that period. Intervention by the Indonesian central bank addressed the decline, but the situation is also different today then it was back nearly two decades ago. “Bank Negara is still mopping up liquidity today,” says another fund manager who started work in Malaysia in the early 1990s. Although liquidity is plentiful in Malaysia, money has been coming out of the stock market. Foreign selling has been pronounced this year and the wave of selling has seen more money flow out of the stock market this year than what was put in to buy stocks last year. Equities is just an aspect of it as the bigger worry is in Government bonds where foreigners hold more than 40% of issued government debt. “The fear is capital flight and people are looking to lock in their gains,” says the fund manager. While the selling that is taking place in the capital markets is a concern, Malaysia of today is vastly different than it was during the 1997/98 period. For one, corporates in Malaysia are not as leveraged as they were back then. Corporate debt-to-gross domestic product (GDP) ratio is below 100% but it was above 130% in 1998. Furthermore, corporate profits are still steady although general expectations have been missed in the last earnings season. Secondly, fund managers point out that the banking system is in far better health today, better capitalised and seeing the average loan-to-deposit ratio below 100%. That loan-to-deposit ratio was much higher than 100% during the 1997/98 period and and as loans turned bad, the banks got into trouble. “Fundamentally, we are much stronger now. That was not the case back then,” says a corporate lawyer. The one big worry, though, is household debt. That ratio to GDP is crawling towards the 90% level while it was not even an issue back in 1997/98. Sensitivity analysis by Bank Negara which looks at several adverse scenarios, such as a 40% decline in the stock market and bad loans from corporates and households shooting up, indicate that the banking system can withstand a major shock. “The scenario-based solvency stress test for the period 2014 to 2016 incorporated simultaneous shocks on revenue, funding, credit, market and insurance risk exposures, taking into account a series of tail-risk events and downside risks to the global economic outlook. “The simulated spillovers on the domestic economy were used to assess the compounding year-on-year impact on income and operating expenses, balance sheet growth and capitalisation of financial institutions, disregarding any loss mitigation responses by financial institutions or policy intervention by the authorities,” says Bank Negara in its Financial Stability and Payment Systems Report. “Even under the adverse scenario, the post-shock aggregate TCR (total capital ratio) and CET1 (common equity tier 1) capital ratio of the banking system were sustained at 10% and 7% respectively, remaining above the minimum regulatory requirement under Basel III based on the phase-in arrangements which are consistent with the global timeline,” it says in the report. The line in the sand for Government finances seems to be at the US$60 per barrel level for crude oil prices. A number of economists feel the Government will miss its fiscal target of a 3% deficit next year should the price of crude oil drop below that level. With oil and gas being such a big component of the economy than what it was in 1997/98, the drop in the price of crude oil could also spell trouble for the current account and cause a deficit in the trade account. Those concerns have been highlighted by local economists and yesterday, Fitch Ratings echoed that worry. “Cheaper oil is positive for the terms of trade of most major Asian economies. But for Malaysia, which is the only net oil exporter among Fitch-rated emerging Asian sovereigns, the fall increases the risk of missing fiscal targets. “The risk of a twin fiscal and external deficit, which could spark greater volatility in capital flows, has increased. Malaysia’s deep local capital markets have a downside in that they leave the country exposed to shifts in investor risk appetite. Malaysia’s foreign reserves dropped 6.8% between end-2013 and end-November 2014, the biggest decline in Fitch-rated emerging Asia,” it says in a statement yesterday.